I can't think of a more special gift that shows someone how much you love them. Plus, it's easy to make and very inexpensive. Score! This jar would make a nice present for your significant other, a special friend, your kids, your mom or dad. You can personalize them for whoever is on your "special" list. Make a label for your jar and adhere it to the jar with glue or tape. 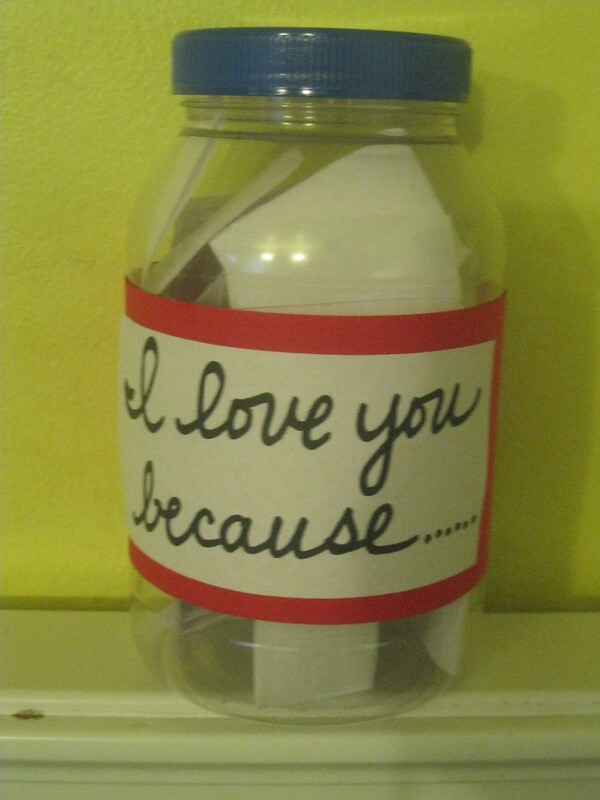 Or you could use a glass paint pen to write directly on the jar. 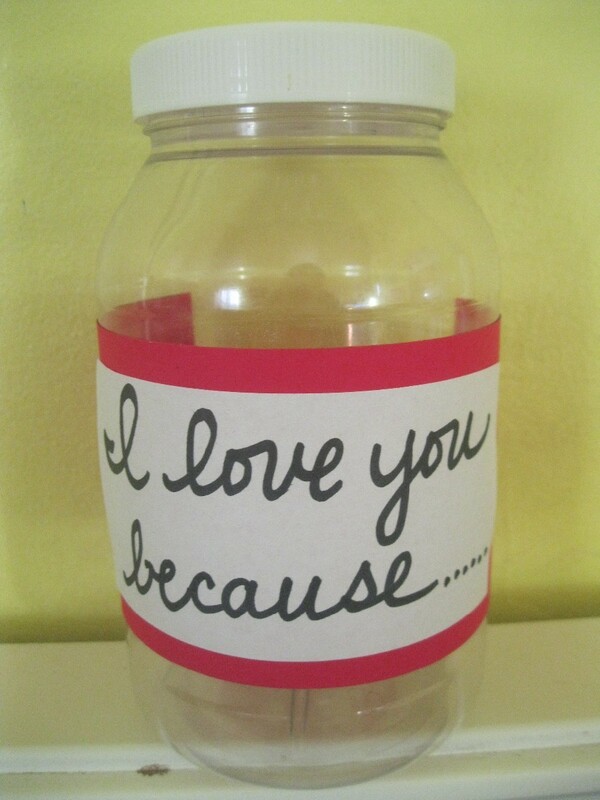 If your jar lid has writing on it or isn't too nice, you could spray paint it or even modge podge pretty paper onto it. 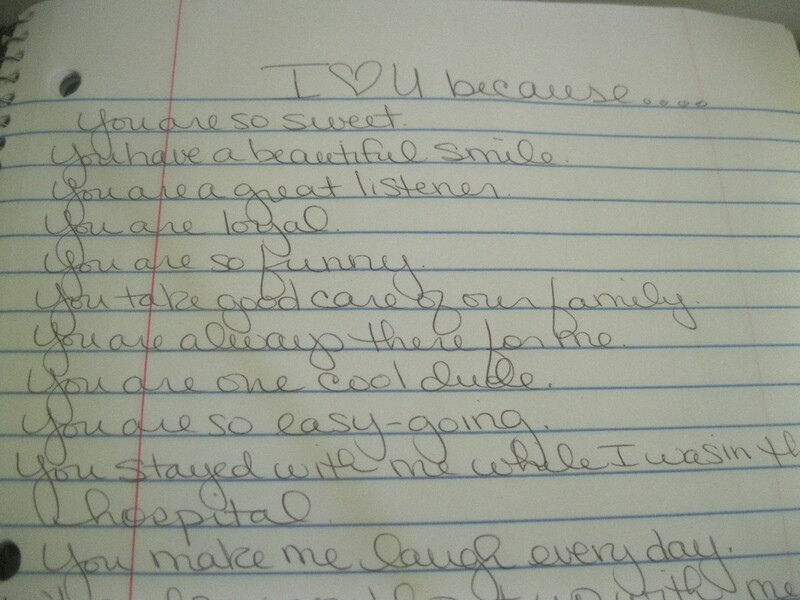 On a piece of paper, write down all the reasons why you love that person. I like to make the list first so I can remember what I've written. You can write generic things such as, "You have a great smile" or "You are so nice". 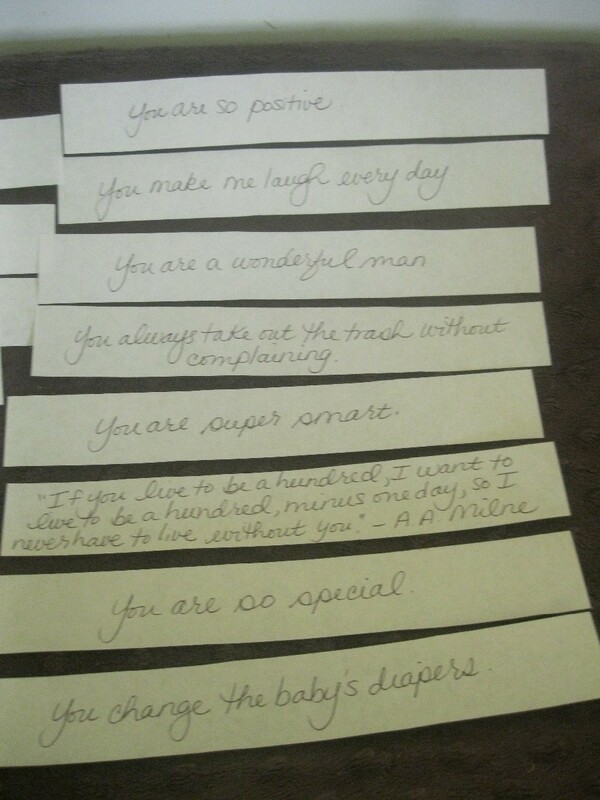 Add a personalized touch, such as "You change the baby's diapers without complaining!". Fond memories, "I had the best time hiking with you in Yosemite. There's no one else I would have rather gone with". You could even look up quotes online about friends, kids, significant others, etc. 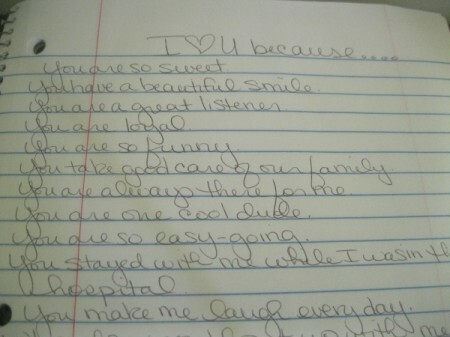 On strips of paper or heart-shaped notes, write down all your reasons. Fold them up and put inside the jar. Enjoy seeing the smile on your loved one's face when they open the jar! 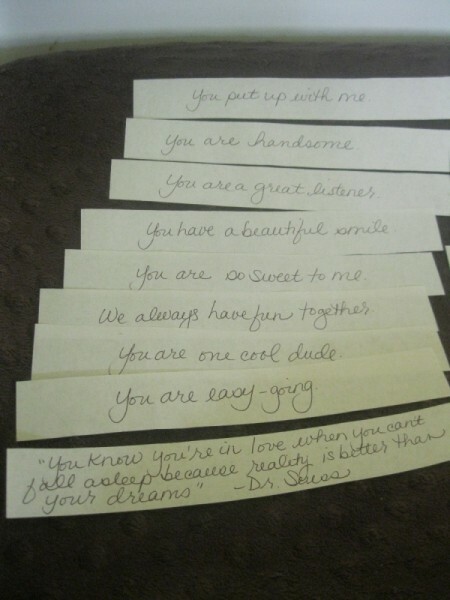 If someone ever gave me one of these, well, I can't think of a better gift in the world! 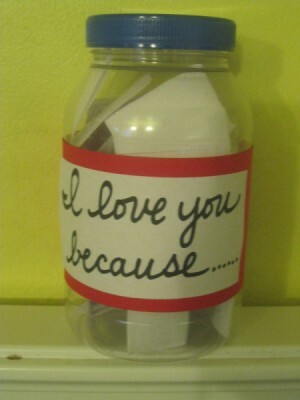 How precious to have a jar full of loving and special thoughts. If I could give 12 thumbs up for this project I would. This is an amazing idea. Inexpensive yet priceless. Fabulous!